Mumbai: In a situation similar to the game of musical chairs, IT giant Infosys on Friday toppled billionaire Mukesh Ambani-led Reliance Industries as the market’s most influential stock for the second time in five days. RIL managed to regain its long-held top position on Thursday, but again slipped to the second slot after Infosys at the end of Friday’s trade in a weak market. Measured in terms of their weightage on the stock market’s barometer index, the Sensex, Infosys was the most influential stock on this 30-share index with a weightage of 10.45%, followed by RIL’s 10.26% at the end of Friday’s trading session, as per the BSE data. Infosys commanded a Sensex weightage of 10.21%, lower than RIL’s 10.39%, Thursday, when the Mukesh Ambani-led group’s flagship firm had pushed the newly-crowned leader to the second place. The Sensex weightage of a stock changes daily and is determined on the basis of market value of a company’s free-float shares, or the shares owned by public shareholders that are freely available for trading in the market. At the end of Friday’s trade, RIL’s free-float market valuation stood at ₹ 130,208.59 crore, lower than Infosys’ ₹ 132,619.09 crore. However, in terms of total market value, including the value of promoter shares, RIL continues to retain its top position. RIL currently commands a total market value of ₹ 236,742.89 crore, while Infosys is the country’s fifth most valued firm with ₹ 156,022.46 crore. RIL has also enjoyed its position as the most influential stock for many years and the movement in its share price has been crucial for any major fall or rise in this index. At the NSE’s Nifty index, another barometer of the Indian stock market, Infosys has managed to retain its position of the top-ranked stock continuously since it dislodged RIL. 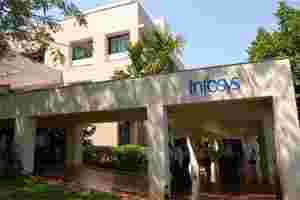 Infosys commanded a Nifty weightage of 9.29%, as against RIL’s 8.62%, at the end of Friday’s trade. According to market analysts, Reliance’s fall from top position earlier this week did not come as a surprise, as the stock has been under-performing the market barometer Sensex for quite sometime. On a group-basis, RIL had slipped to third slot in June this year, in terms of a corporate group’s influence in moving the stock market benchmark Sensex, after HDFC and Tata groups.